What is a FireSmart Treatment? 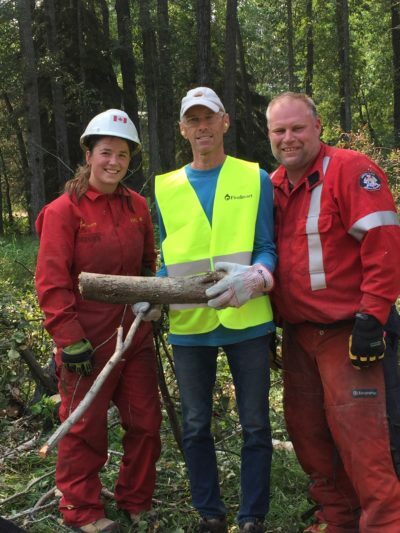 Dan Tarney and Randy Elm are the primary FireSmart leaders and organizers from the [local] Marten Beach Cottager community. 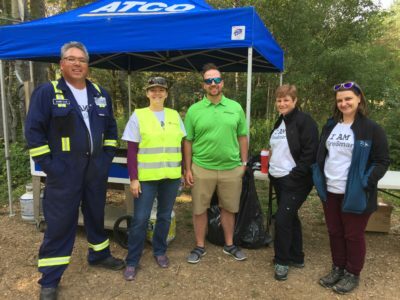 For four years, they have been reliably putting the pieces together for Community Cleanups, communicating regularly with residents and workers and positively building FireSmart momentum, all for the purpose of protecting their neighbourhood. 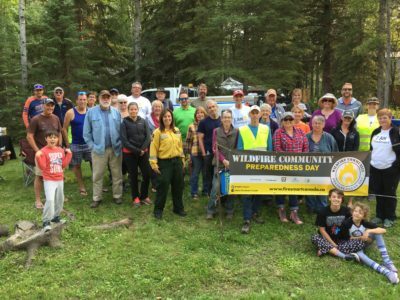 This year’s FireSmart Community Cleanup was another wildly successful event where residents, volunteers and workers came together to remove woody debris from the forest floor so that in the event of a wildfire, its movement will be slowed or stopped from travelling through the area. 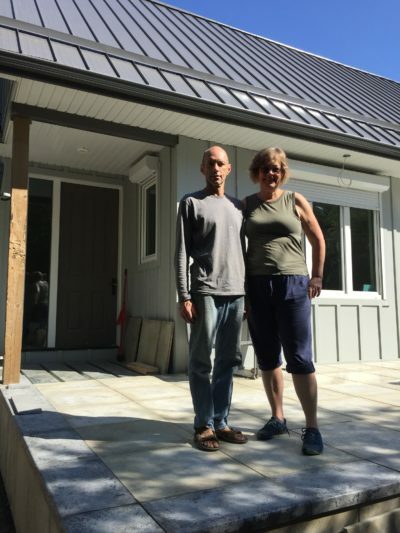 Additionally, Dan Tarney and his wife, Caroline Wagenaar, have made many personal FireSmart selections while building their cottage, both through design and materials. The siding is cement board, which is very fire-resistant. Windows are triple- paned and have metal roll shutters for window coverings. The vents on the roof are screened and the roof itself is a simple design, covered with metal. 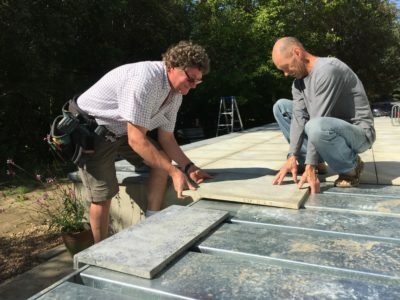 These choices are all about resisting radiant heat or direct flame and have taken into consideration the transfer and collection of embers from a wildfire to the home. 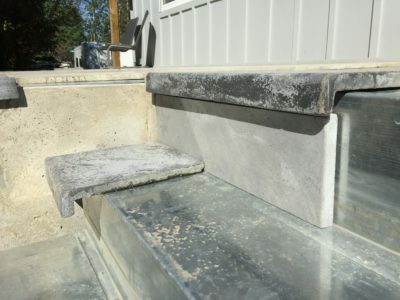 After doing a lot of research, and finding a Canadian manufacturer, the couple invested in a deck that is a marvelous design of metal framing covered with concrete blocks and sides. The results are attractive and durable, low maintenance and should last much longer than many other decking materials available. 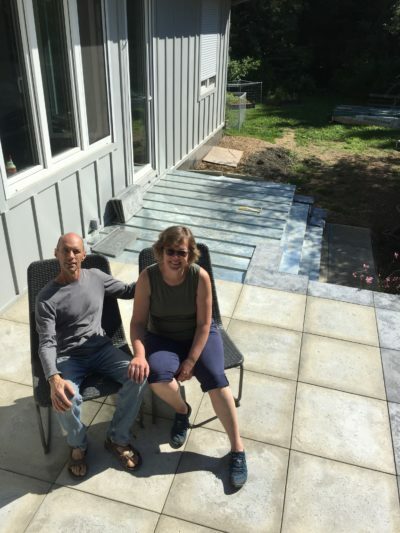 Though the cost is higher, the couple considered the options, contemplated their surroundings, and made their choice informed by FireSmart guidelines primarily, and with respect to flooding secondarily. Landscaping is in the future plans, but even now, the yard has a ring of leafy trees, some wonderful raised garden beds and short-mown grass (when it’s not raining or flooding!). 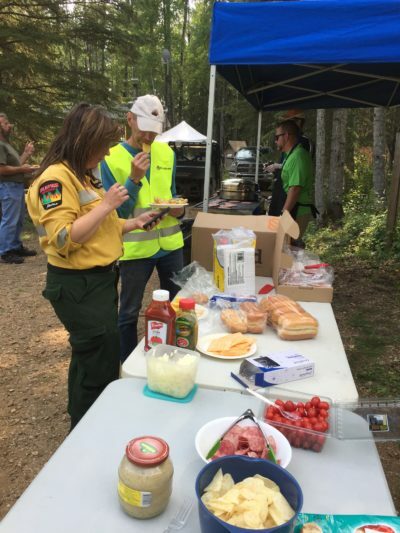 FireSmart Champions give us all an excellent example of how to embrace FireSmart guidelines yet simultaneously show how FireSmart is about those normal, ‘every day’ activities and choices. 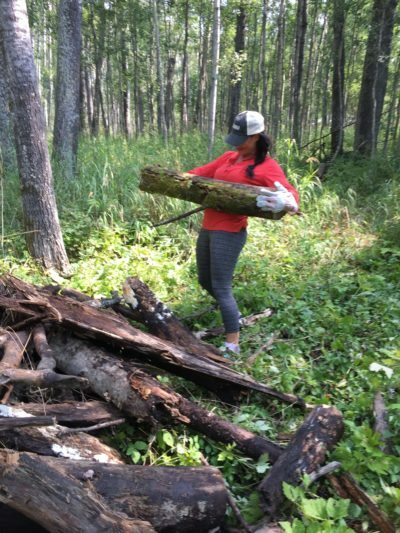 Yes, FireSmart is about those bigger choices and commitments, like Dan and Caroline are making, but it’s also about cleaning your eaves, mowing your lawn and helping out in your neighbourhood. Canadians already take many steps to ensure their families, homes and vehicles are safe. We are comfortable changing furnace filters on a regular basis, making sure smoke detectors are in good working condition, changing winter tires to all-seasons and back again, checking fire extinguishers and keeping the first-aid kit stocked. FireSmart principles should also be a regular part of family practices. Getting informed and taking action on your property helps you as an individual, but it also helps protect your community. 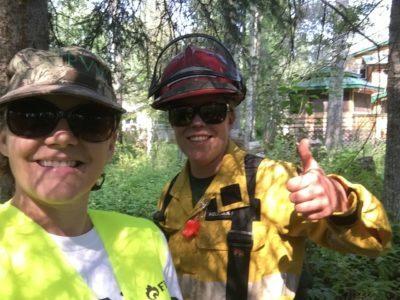 Find out how you can take action, do your part and become your own version of a FireSmart Champ! To learn more, ‘Like’ us on Facebook, click in with Instagram and Twitter, check our website at www.livefiresmart.ca or review FireSmart Canada’s program at www.firesmart.ca. 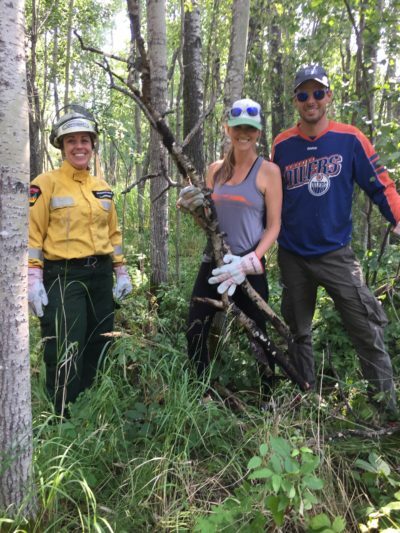 Getting Ready for Spring – FireSmart Style! Copyright © 2017 - Live Fire Smart, All Rights Reserved.